The Goodfellows Records was initially donated to the School of Dental Medicine by the organization in 1965. The Records were then transferred from the School of Dental Medicine Library to the University Archives (Accession Number 2015:018, May 2015). The Goodfellows Records consist of one bound volume in it’s original order. The Goodfellows were organized in 1919 as a social group of dentists that included from Philadelphia John Mershon, Charlie Turner (Dean of the University of Pennsylvania Dental School), Oborn Lewis (member of the Dental School Faculty), Dudley Guilford, Clarence Salvas, and William Jaquette; from New York City Charlie Ash, Henry Dunning, Paul Stillman, William Tracy, and J. Lowe Young; and from Baltimore Louis Coriell, Clarence Grieves, George Hardy, and Harry Kelsey. 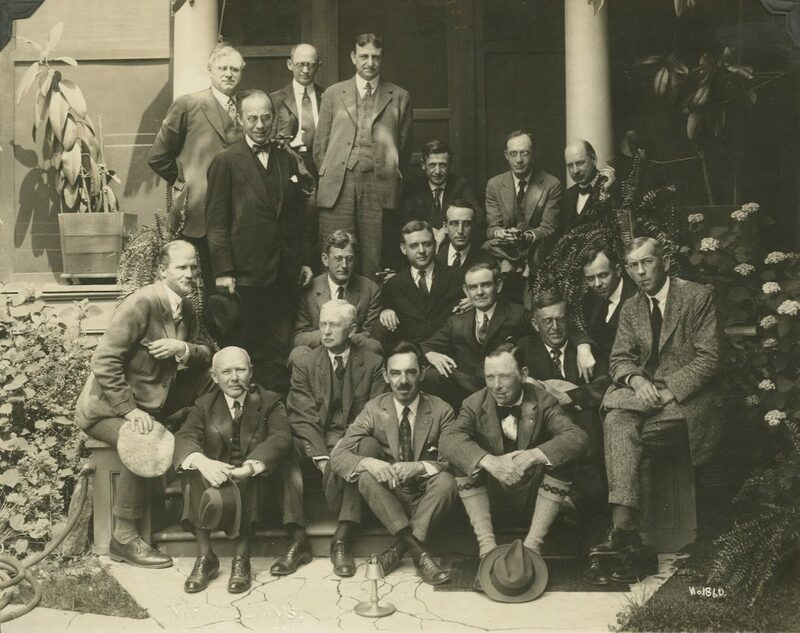 The purpose of the informal organization was simply “friendship and the joy of meeting together.” The first meeting was held at John Mershon’s residence in Philadelphia. Over the following decades, “meetings” were held in the members’ home cities of Baltimore, Philadelphia, and New York; as well as outings to locations in Connecticut, Maine, Washington, D.C., and Virginia. During the forty-six year existence of the Goodfellows, new members were added, as original members passed away. It was eventually decided in 1965 to officially disband the club as there had been a diminishing interest in the group. The groups bound record was given to the University of Pennsylvania School of Dental Medicine, accepted by Dean Walter C. Cohen. The Goodfellows Records is a bound volume that contains the minutes, invitations, photographs, and memorabilia of an informal social club. It mainly documents their social activities, and outings between 1919 and 1963.